The annual Company Banquet took place at Mansion House on Friday 6th May 2016. 222 Liverymen and guests joined Prime Warden Nigel Whitehead in welcoming prominent City of London and other guests in the splendid setting of the Egyptian Hall. 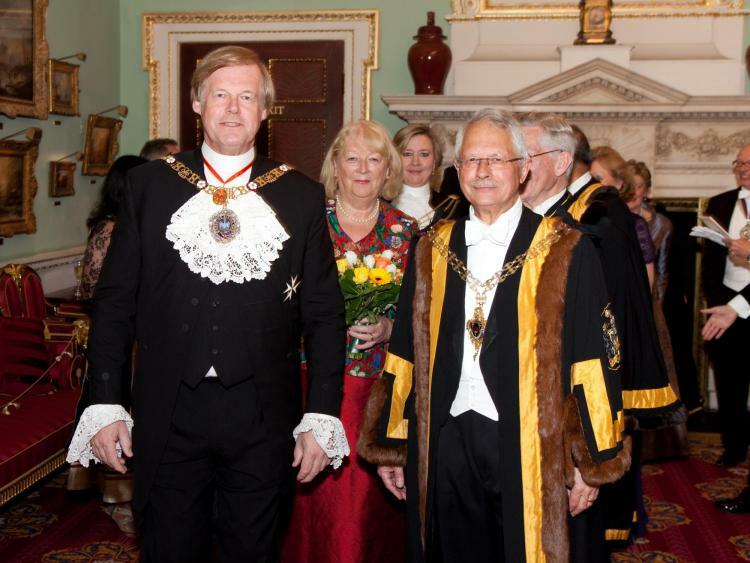 The civic party comprised Lord Mayor locum tenens Sir David Wootton and Sheriff Dr Christine Rigden together with their spouses. 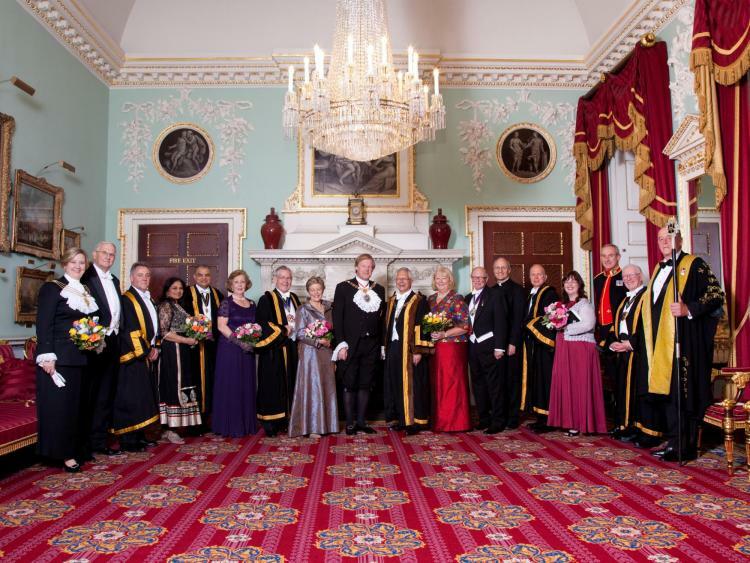 Other company guests included the Dean of St Paul's Cathedral and the Masters of the Worshipful Companies of Ironmongers, Musicians and Management Consultants. The Master Cutler of Hallamshire was also present. Guests and Liverymen were entertained with music from the London Banqueting Ensemble culminating in an extremely athletic Post Horn Gallop. 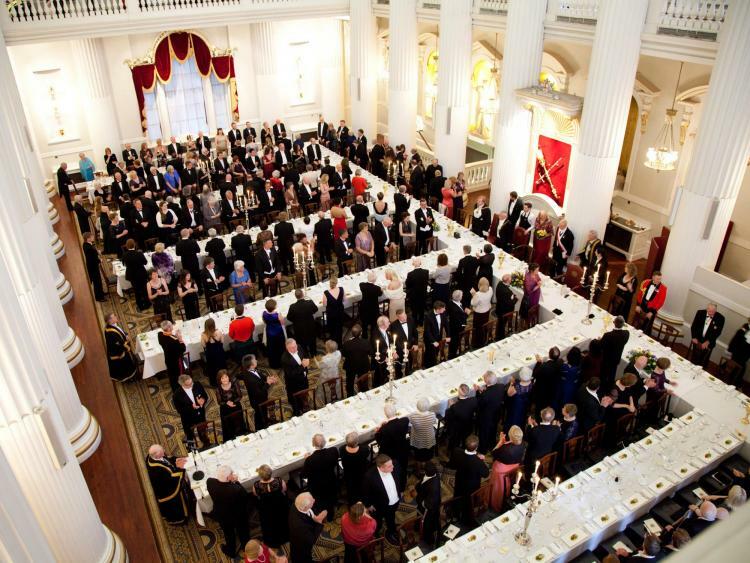 The rafters of Mansion House were raised with a lively rendition of the Blacksmith's song, the singing of which has become a Banquet tradition.